The article discusses inevitable changes that occur in the field of subject cataloguing in library catalogues in Poland and in the world. It points to the reasons for the creation of a new language – the Descriptors of the National Library of Poland (DBNs). The DBNs are an alternative to the hitherto used language of subject description, which is outdated and impractical to use both for librarians and library users. The authors present the context that brought about the changes in traditional tools used in librarians’ work. They quote examples of changes that have already been implemented or are underway in libraries all over the world. They indicate that the pre-coordinated subject description languages still in use in Poland are obsolete and unsatisfying for modern-day users of library collections catalogues. The article discusses, in general terms, the features of a new subject description language created by the National Library of Poland. The National Library of Poland Descriptors are the effect of transformation of the National Library of Poland Subject Headings Language. In the conclusion of the text the author asks a question about what will happen with another language – KABA (Automatic Academic Libraries Catalogue), also pre-coordinated and ill-adapted to modern-day requirements of subject description, yet still used in the NUKAT (National Universal Central Catalogue of Poland). The article discusses the ethnic criterion for acquiring foreign Polonica by the National Library of Poland. According to Regulation no.70/2012 issued by the Director General of the National Library of Poland on December 31st 2012, there are four criteria for considering library materials as foreign Polonica: territory, language, subject and ethnicity. The article focuses on the latter and presents against the concepts of nationality and citizenship. The first part of the text presents historical, linguistic and sociological views on nationality from the perspective of history, language history and sociology with particular stress on self-identification problems. The second part analyzes historical and legal aspects of citizenship and its potential role in qualifying publications as foreign Polonica. Theoretical reflection is illustrated with numerous case studies drawn from practical experience in compiling the bibliography of foreign Polonica. These cases allow the authors to present sources of information used in everyday work on bibliography: traditional ones, including biographic dictionaries and specialist bibliographies, as well as contemporary ones, that is: websites, social media or public domain content. The article presents the history of gathering bibliographical materials for the Bibliografia polska 1901–1939 (Polish Bibliography 1901–1939). The author describes principal printed sources that served to prepare the card catalogue, as well as the process of completing them based on library catalogues and the ways of acquiring new bibliographical descriptions. The article also presents the remaining catalogues available in the Department of Polish Bibliography 1901–1939 and draws attention to the fact that the materials collected have been widely used not only by the researchers of the National Library of Poland. The text is based on analyses of the literature and of unpublished archival materials collected by the Department of Polish Bibliography 1901–1939. The article describes the processing of articles from Polish dailies and weeklies registered by the National Library of Poland and cooperating libraries since RSST. Continuous processing of these articles by the National Library together with employees of public libraries makes it possible to build a database of current journalistic content. This database encompasses extensive knowledge and diverse information and offers public access to the resources of Polish journalism. The reasons for using a new method of subject description are the expectations of modern-day library users who need information that is easily accessible and expressed in a simple query language. New interfaces, digitization of the collections and novel ways of data presentation raise the expectations of the contemporary library user. This paper presents the most frequent types of articles and changes in the functionality of search through the catalogue of the National Library of Poland, the use of the Descriptors of the National Library of Poland in processing articles from dailies and weeklies, and the most commonly used descriptor categories with exemplification. The author briefly summarizes the history of processing the content of press publications in Poland, presenting the origin of the project of a common database with bibliographic descriptions of press articles and the reasons for undertaking such a plan. The article discusses the implementation of the project Wspolna Baza Artykułow z Gazet i Tygodnikow (Common Database of Articles from Dailies and Weeklies), as well as the principles of selecting the periodicals to be included in the database, and the rules of picking specific articles from them. The author describes the schedule of work on the database, which was developed and made accessible in different systems, as well as changes in the bibliographic description that followed. Attention is drawn to the changes in the number of newspapers processed and in the composition of the group of libraries that take part in the project. The author stresses the role and responsibilities of the National Library of Poland in the common project as its initiator and coordinator. The middle of the year 2017 saw an update in the guidelines of selecting titles of Polish and foreign periodicals for the Bibliological Collections Department to subscribe to. In the case of Polish periodicals, the thematic criterion was used. Thus the Bibliological Reading Room will have all titles related to bibliology and library science currently present on the list of academic periodicals published by the Ministry of Science and Higher Education, as well as popular-science and professional periodicals, both of national and regional range. To foreign periodicals the thematic criterion was hardly applicable given the considerable number of such publications. Consequently it was decided that the only foreign periodicals to be subscribed to will be those having an Impact Factor. The article discusses in detail the changes in gathering policies resulting from the above-mentioned guidelines. The article discusses verbal equivalents of Universal Decimal Classification (UDC) symbols. The author presents the problem of reading the semantic field of the UDC, focusing on reading its meaning in the context of the classification branch of the UDC master reference file. Verbal equivalents are presented in the context of their functioning within multilingual databases of the UDC Consortium, including UDC Summary and UDC Online. The author also discusses verbal equivalents from the national UDC tables, from UDC authority file. She raises the issue of creating classification thesauri, as well as linking UKD symbols to their verbal equivalents in Wikipedia. The process of unification of cataloguing standards also includes music materials. One of such attempts is the description model used by the RISM, Repertoire International des Sources Musicales. The RISM cataloguing standard is especially useful for manuscripts and printed sheet music from the Modern Period (16th–19th century); yet, it can be used as a model for cataloguing other music materials, too. The basis for its adaptation to new purposes are the collections of the Polish Jazz Archive, Department of Manuscripts, National Library of Poland, containing the legacies of such musicians as Krzysztof Komeda or Zbigniew Seifert. These collections include personal papers, correspondence, or photographs, as well as music materials. The RISM catalogue description could be used for the latter type of objects. Jazz sheet music often differs significantly from other music sources, as its main feature is its ‘incompleteness’. Irrespective of the type of sheet music (complete score, parts), jazz compositions leave room for improvisation by the musicians. These particular features of the material need to be taken into account by cataloguing specialists during their work. At the same time the RISM standard, which describes not only the properties of the music source but also the composition itself, has to be adapted to the specificity of jazz music documents. Therefore the usefulness of particular aspects of the RISM catalogue description requires verification in the context of jazz sheet music. The question of the methods of describing jazz musical documents opens discussion about cataloguing materials belonging to popular music in the broad sense. Although such collections are rather rare in library collections, they too require appropriate methodological approach. Not only do modern recording studios play a significant role in the proces of making sound recordings, and thus in the entire phonographic industry, but they also often act as influential cultural centres where musical works are created and to which artists attach great importance. How a recording studio works determines the final quality of musical pieces released on CDs. Therefore it is becoming more and more relevant to include information about tchem in library catalogues and record descriptions, as well as to index their precise names in corporate headings. The introduction of additional, formalized fields in the structure of the catalogue, where to enter time and place of the recording, would be a precedent that could stir debate about the possibility of including in bibliographic description data about other co-authors (e.g. photographers, graphic designers of the covers) and institutions of ‘secondary importance’. This, in a wider perspective, might trigger changes in the descriptions of other types of library collections. In such case, the specialists dealing with phonography would gain valuable, synthetic sources of information about recording studios on the area of the phonographic market that still has not been sufficiently researched. Examination of leaves extracted from book bindings is part of bibliographical studies as it allows the study of books that have not been preserved or the tracking of unknown fragments of books that we only know as damaged. The purpose of this article is to present a method of identifying liturgical books by means of textual analysis. Practical applications of such a method are discussed based on damaged books from the collections of the National Library of Poland. In certain cases the quickest way to determine the source of the leaves in question is to perform typographical analysis. This method is briefly illustrated with Missale Gnesnense, Cracow 1523, and with fragments of two copies of Missale Vratislaviense, Cracow 1505. Some of the leaves made of waste paper from the covers display no features necessary for typographical analysis, e.g. it is impossible to determine the type size. In such situations characteristic elements of the text in question may be helpful. In liturgical books these are features typical of a particular province or diocese. They make it possible to eliminate books published for another church institution, where a different variant of liturgy was used. This research method is presented in detail when discussing the identification of fragments of Breviarium tripartitum Cracoviense, Gnesnense et Posnaniense, Nuremberg 1494, Missale Merseburgensis, Leipzig 1502, Breviarium Hallense, Leipzig 1534. The author also discusses factors helpful when attributing liturgical texts to specific dioceses and religious orders. Although Maciej of Tyszki probably did not graduate from university and never held a higher church benefice, he did own – as stated in his will of 1508 – over 30 books on different matters. The article presents this untypical book collection in the context of the place where it had been gathered and its owner himself. It also attempts at evaluating this collection in comparison with other collections from the turn of the Middle Ages and the Modern Period, especially those in Mazovia region. The article contains a comparative analysis of a unique copy of Inwentarz praw polskich (Inventory of Polish laws), edited by Kazimierz Arnolf Żeglicki and published in BCDE, with other copies of the work with an erratum added. Particular attention is paid to the proofreader’s marks in the former. The volume is also compared with later editions, especially with that of Teodor Waga from BChl. The uniqueness of the copy results from the fact that it bears handwritten corrections of the proof, with numerous single and multiple deletions, replacements of text, proof marks and descriptive marginalia. They show the way the editor worked and contribute valuably to the history of this edition. Its importance results from the fact that Inwentarz is a significant legislative compendium of the Polish-Lithuanian Commonwealth, although it is not an original work. It is a link in the chain of completing factual entries appearing in the six volumes of Volumina Legum which make it easier to navigate through the first Polish collection of codified laws, containing privileges, statutes and laws passed by the Sejm. 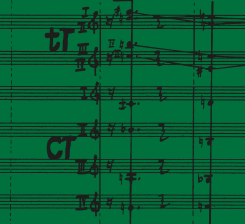 This work was started by Maciej Marcjan Ładowski and crowned with the BghD edition. The task was continued by Józef Andrzej Załuski and two Piarists: Kazimierz Arnolf Żeglicki and, in BhCl, Szymon Teodor Waga. To the latter the lexicon owes its final shape. An additional edition of the work was also prepared by Teodor Ostrowski. Żeglicki’s Inwentarz was published in two variants. About BDf copies are believed to have been preserved in the world, of which gg are reported in Polish state collections. After the incomplete proofreading by Żeglicki, a two-page erratum was added to the book. A full proofreading was not included until Teodor Waga’s BChl edition. The article describes analytically the preserved copy of Inwentarz, presents the biography of both editors and the fruit of their work. The article bears on Towarzystwo Ćwiczącej się Młodzieży w Literaturze Ojczystej (Society of Youths Studying their Motherland’s Literature), a student group active in Lwow (now: Lviv) in the years 1818–1819, with particular emphasis on the book collection created by them that was intended as the foundation of the Society’s activities. A concise outline of the Society’s history provides an overview of its historical and cultural background, while the main part of the article contains a systematic description of the collection, i.a. according to the content, language, place and year of publication. The results of this description are analyzed not only in reference to literary, historical or philosophical interests of the Society’s members, but also in the context of the general intellectual atmosphere in the Austrian Partition after the Congress of Vienna, when there was a revival of Polish cultural life after years of standstill following the partitions. Another purpose of the analysis of the collection is to answer the question to what extent its content reflects the general situation of books in Lwow and other features of cultural and intellectual life of the epoch. The paper presents 19th-century translations of Polish literature into Spanish and Catalan. They were published mainly in literary periodicals, and not always were prepared by men of letters. Moreover, most of the 9 texts that were found were actually indirect translations from French and written in prose which, in the case of works by Mickiewicz or Krasiński, significantly impoverished their message. The only work translated directly from Polish was Kraszewski’s novel Ulana. Yet, it should be stressed that the works made accessible to Spanish readers are part of the Polish matter, especially in the period of Polish national uprisings; nevertheless, the described translations failed to produce a comprehensive image of Polish literature and remained no more than an ‘exotic curiosity’. The article analyzes how two publications – Холмский Народный Календарь (Chełmski Kalendarz Ludowy, The Kholm Popular Calendar) and ‘Холмская Русь’, (Chełmska Ruś, The Kholm Rus’), published by the Holy Mother of God Fraternity of Chełm (Kholm), helped to Russianize Orthodox inhabitants of the eastern part of the Kingdom of Poland. The point of departure of the analysis is Ernst Gellner’s nation genesis model, according to which the main role in the proces was attributed to the education system, including the stimulation of readership and mass distribution of publications ‘for the people’. Carefully selected publications allowed the local elite, mainly the Orthodox clergy, to build a ‘newtype’ society: centrally educated and culturally homogenous. The central point of reference was supposed to be the Russian national community preserving common high culture, based on the history of the old Rus’ and cemented by the only Orthodox faith. Russian nationalists from Kholm, hard-pressed by Polish society, tried to work out a competitive national narrative where the story of the ‘primaeval’ Russian Chełm (Kholm) region was supposed to be more persuasive than the influence of the Roman Catholic Church together with Polish cultural identity.